All bathrooms are fully tiled and have granite counter tops. The master bathroom has a jacuzzi tub. Lake Front Property on Lake Toxaway largest private lake in NC. Over 15 miles of shore line. 2 separate units of central a/c and heating. Keep your floor at the temperature you desire. Unit on each floor to keep the temperature you desire. No trailers, RV's or water crafts permitted. Microwavable full set of dishes for 12, coffee mugs, drinking glasses, wine glasses, full set of utensils & children's own set of dishes. Both floors have a large open Deck with table and chairs with beautiful lake views. 3 person canoe included. Two Kayaks are available to rent separately. 24 ft deck boat ready for water skiing, Tubing, knee-boarding or just fishing 2nd boat available if deck boat is in for maintenance. Two full size Decks: One upstairs and another one downstairs equipped with table and chairs to enjoy your meals with a spectacular view. Optional: Water two sets of skis, knee board and 2 person tube and single person tube. Had a great stay - house was fantastic. Right on the water! Clean, no issues whatsoever. Wish we'd had more time! 20 minutes from Cashiers, 30 minutes to Brevard, fishing, hiking - perfect spot. If you get time, drive up the mountain in Toxaway - the views from the top are amazing. Highly recommend this house - owners were accessible and answered every question quickly! Great folks and a great spot! AMAZING VIEW FROM EVERY ROOM OF THE HOME! Our vacation with our beautiful family this year was so much fun. Your hospitality, and kindness through the planning process was so smooth. The accommodations were perfect, with the two stories, the fireplaces, and game room. We hiked to the water falls and enjoyed our grandchildren and our Yorkshire Terrier in a completely different atmosphere. We will never forget the memories and look forward to staying in your beautiful home in the summer months. Thank you again for sharing your home and giving us the opportunity to entertain our loved ones in Lake Toxaway. GREAT HOUSE, LAKE AND BOAT. A REAL ENJOYMENT. WE ALSO CAUGHT A LOT OF FISH, MY 6 AND 5 YEAR OLD GRANDSONS BEAT ME EVERY DAY. THANKS FOR THE GOOD TIMES. This was the perfect vacation home for us! The lake views are amazing, and the fact that you get a boat the whole week to use was wonderful!! Steve and Rosie were both great at answering any questions and concerns we had. We will definitely be back! Thank you so much for your stay at Shady Rest. You were a wonderful family and we enjoyed having you. We hope you will come back soon. Thank-you for sharing your beautiful home, it was more than we imagined. The house was spotless, with special touches of home everywhere. We were visiting from Raleigh NC with my cousin and husband from England. Our days were spent on the Pontoon Boat and also visiting the amazing Water Falls. Enjoyed celabrating my Birthday over dinner at the Blind Mule. The garden was just lovely with well kept shrubs, our sweet Sophie loved playing with her ball. All the creature comforts of a lakehouse included!! It is our pleasure to have families like this one make memories at Shady Rest. If we can't enjoy it all year long why not allow other families to enjoy all it has to offer. We love when our guests come back year after year. We were delighted to have the Patty & Ron family spent their vacation at Shady Rest and would welcome them back with open arms. 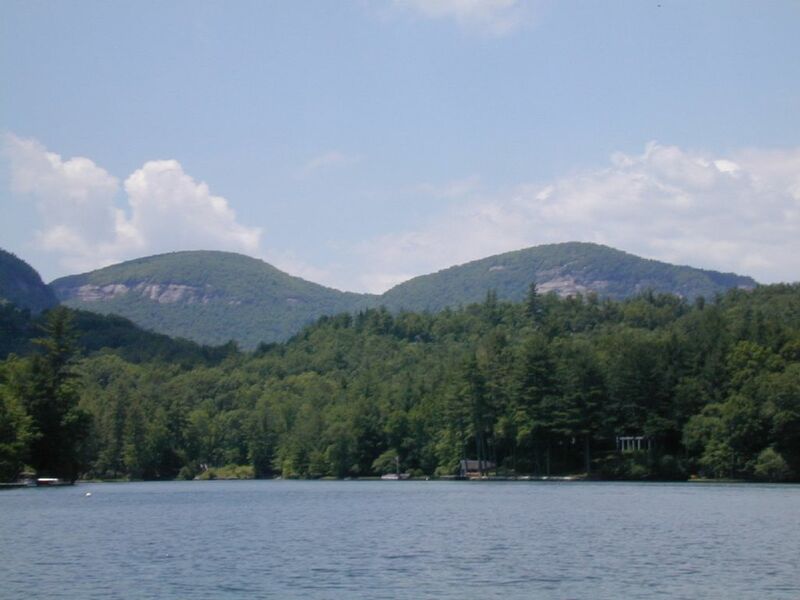 Lake Toxaway and the surrounding area has been selected as a premier vacation spot for many decades. It has been selected by very prominent and famous families such as the Vanderbilt family and many others. It offers: golf, tennis, boating, swimming, water-skiing, fishing, hiking, sight seeing in the Blue Ridge Mountains, beautiful waterfalls, and much more. 3 miles from the center of Brevard. 130 HP DECK BOAT is INCLUDED in weekly rentals (a $ 2,250 weekly value) Required: $500.00 refundable security deposit / multi-weeks stay is $800 Deposit Required: $ 125.00 per pet fee if approved OPTIONAL: $100.00 a week rental for water skis, tubes, and wakeboard. Cancellation: 90 days for weekly renters & 120 for monthly renters. A $150 admin fee for cancellation. See contract for complete cancellation policy.